VAUGONDY - Royaume de Pologne. VAUGONDY,R. / DELAMARCHE - Royaume de Pologne. Title : Royaume de Pologne.. 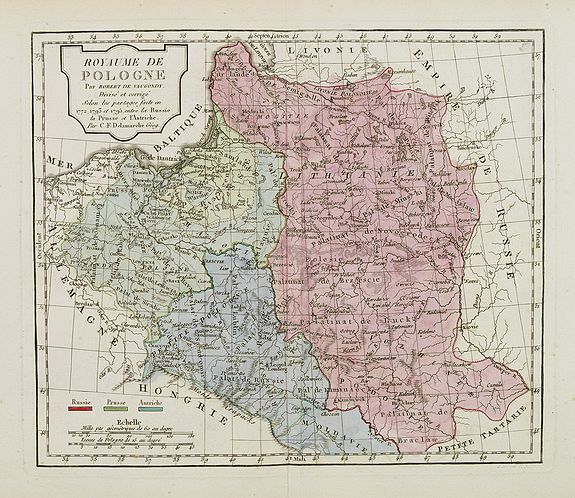 Description :Map of Poland and Lithuania. With a colour key to Russian, Prussian and Austrian possessions.